One of our favorite resources is Kidzmatter magazine. We’ll give you five reasons why we think every kidmin needs this tool in their resource belt and give you an opportunity to win a year subscription. 1. 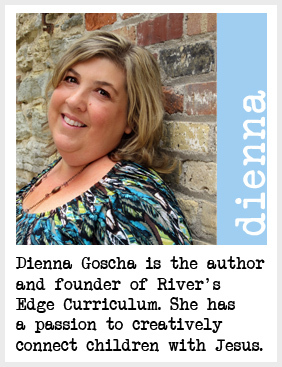 The magazine is delivered in digital and/or print form. I love getting things digitally. I can look at them on multiple devices and copy and paste so easy. I also love to have something in my hand that I can mark up, tear pages out of, pin ideas on the wall or give to someone else to read. I can have the best of both worlds with Kidzmatter. 2. Ryan and Beth Frank, the publishers, are some of the most encouraging people I know. This magazine mirrors that personality trait. 3. Most of the articles are written by people in the trenches. They minister each day in churches or other ministries. They are living what they write about. 4. There is a good mix of information within the magazine. Whether reading a short quote by a fellow kid’s minister, an in-depth article on a specialized area of kid’s ministry or a paragraph on one of the latest kid’s trends, there is something for everyone. 5. Reading the magazine inspires us to be better at what we do. It gives new ideas and new ways of doing the old ideas. It keeps us up to date on the kid’s ministry world. It is like going to a mini-conference with every issue. 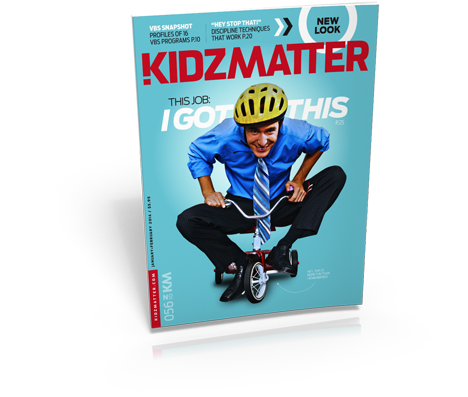 Because we love this resource, we are going to give away a one year subscription to Kidzmatter magazine. Just write a comment on why you would like to receive the magazine. We’ll do a random drawing Friday, February 21. Disclaimer: I received a free copy of the magazine from Kidzmatter. Mark an arrow on an empty plastic bottle. Kids sit in a circle with the bottle in the middle. Spin the bottle. Whoever the bottle lands on says the first word of verse. Spin again, that person says first and second words. Continue until the entire verse is said. Use this activity with a large group. Write one word per piece of paper. Give out one piece of paper per child. The children chosen line up in front of the room (not in correct verse order). The rest of the group works together to unscrambles the words by telling the kids to move places. Everyone says the verse together once it is in correct order. One child from the audience chooses someone to turn around so the verse cannot be seen. Say the verse. Continue with 1-3 people being chosen to turn around each time. One child holds the end of a ball of yarn and throws the ball to someone in a circle. They say the next word in the verse and throw the ball to someone else. This continues until the verse is complete and a spider web has been formed. Call out different scenarios: Who is wearing tennis shoes? Who has a birthday this month? Who is wearing red? Each time a scenario is called, those who fit that scenario stand and say the verse together. Write the bible verse as small as possible. Make copies of the verse and hide around the room. Give the kids magnifying glasses. They must search for the verse and then use the magnifying glass to read the verse. Write the words randomnly on a piece of paper with a dot next to each word. Make a copy for each person. Have the kids connect the words starting with the first word in the verse. When completed, color the design made. Sit in a circle. Pass a “hot potato” around the circle. This can be a bean bag, a potato or any small object. Play music. When the music stops, the person holding the hot potato must say the first word of the verse. Play continues. The next person holding the potato when the music stops must say the first two words. Play continues until the verse is completed. Cover the table with a large sheet of paper (butcher paper, bulletin board paper). Write the words to the verse around the table. Have the kids draw symbols and pictures to illustrate the verse. Have each child write one word from the verse on a piece of paper. Have them hold their paper up and take a picture of them making a silly face. Make a slideshow with the pictures in order having the kids practice the verse while they look at the slideshow. Blow up helium balloons attaching a long string to each. Write, on index cards, the verse one word per card. Attach a card to each balloon. Let the balloons go in the room. Have the kids work together to put the verse in order.